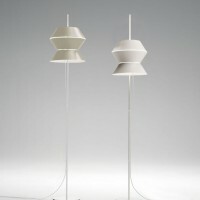 Italian designer Carlo Tamborini has created the Artù collection of lamps for ModoLuce. 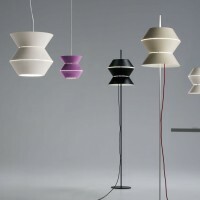 Family of lamps painted in white, black, periwinkle blue and sandy, that can be also combined together. 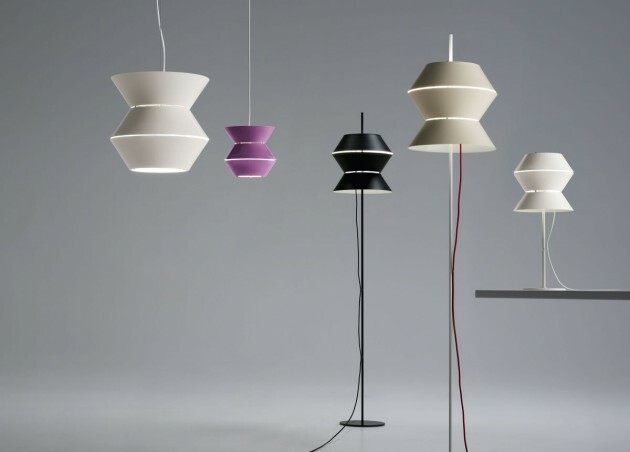 Like element of a suit of armour, two or many base units of truncated cone shape lie over to create floor, table or swinging lamps. It looks like a multicoloured zigzag shape, from which the light filters thanks to the thin chinks between the coincident bases. 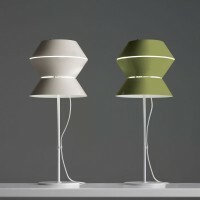 Family Artù can be used for different situations, from small table lamp to swinging lamp for bars tables, from the big swinging lamp (also sliding on the steel cable) to the floor lamp adjustable in 2 height, thanks to different possibilities of painting and to the 2 diameter dimensions of the base unit (cm 20 and cm 30). The equipment with double light bulb allows to have a diffused light or a more direct beam, upwards, downwards or on both directions. 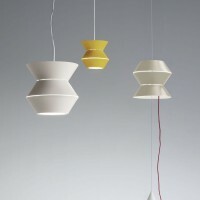 Visit the ModoLuce website – here.